SJS Leicester are proud members of the National Carpet Cleaners Association (NCCA), providing exceptional flooring restoration across Leicestershire. The NCCA, established in 1968 is the only independent UK trade body dedicated to the cleaning of carpets, hard flooring, upholstery, curtains and other soft furnishings. There is a steadily increasing number of member companies based throughout the UK, SJS being one of them. Q: Will my carpets re-soil quicker after having them cleaned? A: Today’s chemicals and detergents are manufactured to the highest specifications for quality and effectiveness. Professional cleaners will only use detergents designed for the removal of soil from carpets and upholstery and, when used correctly, these will not lead to any rapid re-soiling. Detergents that are not designed for use on carpets and upholstery may cause re-soiling problems. Q: I have children/pets, will the be affected by cleaning processes/chemicals? A: Health and safety is of paramount importance in the cleaning industry. Professional cleaning solutions are tested for their effects on the environment and occupants of areas in which they will be used. NCCA members will also ensure that the relevant safety procedures are followed during the cleaning process. It is highly recommended that children and pets stay off of a damp carpet until it is completely dry, this will help prevent slip and fall hazards as well as tracking in fresh soil. A: If a carpet is properly installed, it is very rare that the cleaning process will cause it to shrink. NCCA members are advised to carry out a full inspection prior to any cleaning and test for potential problems such as shrinkage. 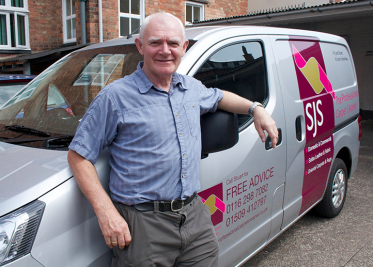 At SJS, we take pride in being a member of The NCCA and take great care when visiting your homes.